The 31-year-old actress teased a possible return of the beloved Disney Channel series. 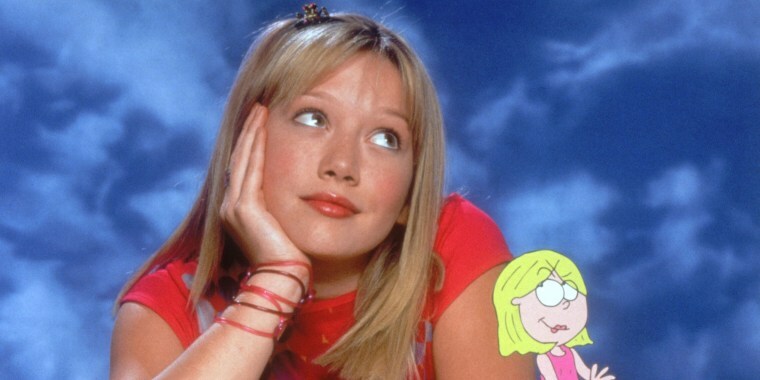 The idea of Hilary Duff partaking in a "Lizzie McGuire" revival used to be what dreams are made of — but looks like it's not so unrealistic after all. Though Duff added that she didn’t “want to get everyone wild talking about it,” her comments set off a flurry of celebrations across Twitter. The show wrapped nearly 15 years ago, but fans — Duff included — still adore their Lizzie just as much today. “I love her so much,” Duff gushed to "ET" of her celebrity-making role. "I think she was so important to girls at an important time in their life. If she could be important to them again at this age, I think that would be amazing." The star said she feels “excited” about the possibility of stepping back into Lizzie's shoes. Like the character, Duff was 13 when the Disney Channel hit premiered, and some of her favorite storylines were those that mirrored her own life. For the possible revival, however, the mother of two feels that Lizzie may be on a different path than her own. "There’s been lots of conversations about that. ... I'm racking my brain," Duff told "ET" of where her character may be now. "I don't think she's a mom yet, but she might be getting there soon." The actress, who is mom to 6-week-old daughter Banks and 6-year-old son Luca, has described her life as total mayhem but an absolute dream come true.